Before Dan Harmon was cracking everyone up with his Adult Swim cartoon Rick and Morty, he was doing it over at NBC with his tumultuous sitcom Community. 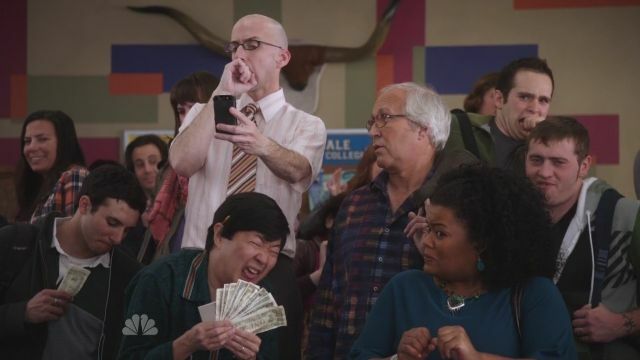 Starring Joel McHale, Gillian Jacobs, Alison Brie, Donald Glover, Chevy Chase, Danny Pudi, and Yvette Nicole Brown, along with all kinds of crazy supporting cast members, the show chronicles the ups and downs of life at a surreal community college. It started out semi-grounded and only got crazier over the course of its six seasons, both on-screen and behind-the-scenes. The show spent its first three years constantly on the brink of cancellation over at NBC. Eventually, due to a clash between the show’s notoriously hard-to-work-with mastermind Dan Harmon and the show’s notoriously hard-to-work-with actor Chevy Chase, Harmon was fired and Chase quit before the show’s fourth season. The show went on without them, resulting in the worst season of the show. They brought Harmon back for the fifth and final season at NBC, where the show moved to Yahoo!’s short-lived streaming service for an additional sixth season. Looking back, the best stuff lies within those initial first three years. Considered by fans to be the show’s greatest episode, managing to live on long after the show came to an end and continues to be quoted to this day by people who didn’t even watch the show, “Remedial Chaos Theory” explores the idea that an action as simple as rolling a die can completely change the course of our lives. Chronicling six different timelines corresponding with six different numbers on a die, the show explores “the darkest timelines” that come from something so arbitrary. It really is a funny idea, and it shows just how clever this sitcom was at one time. 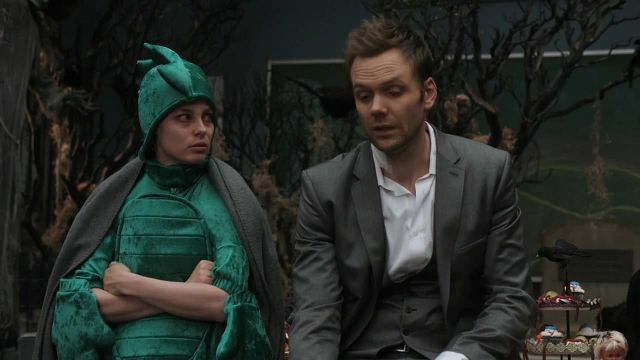 One thing that Community quickly became known for was its themed episodes. Often parodying a specific filmmaker or genre or trope, the show eventually started to do more themed, metafictional episodes than straightforward ones. One such example is season two’s “Advanced Dungeons and Dragons,” an episode that follows one single game of the popular tabletop RPG. It’s an all-timer, for sure, remaining funny enough for even non-D&D players to enjoy. 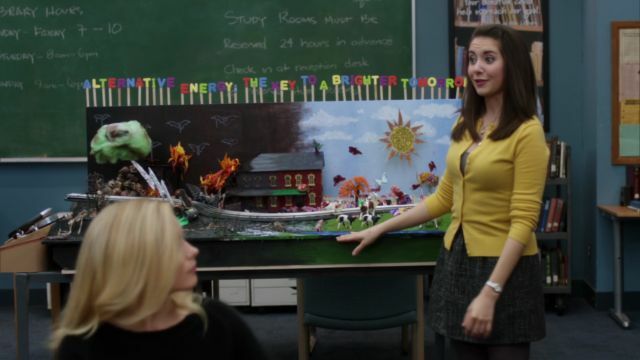 One of the more normal episodes on the list, season two’s “Conspiracy Theories and Interior Design” serves as the earliest appearance of Troy and Abed’s blanket fort ambitions as well as delivers a fun conspiracy-fueled main plot involving Jeff, Annie, and the dean. 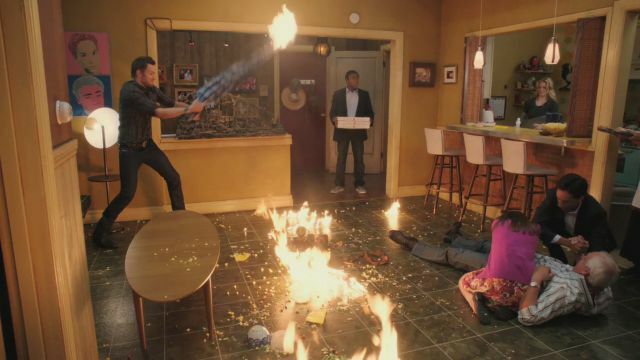 As the trio tries to uncover the truth behind the mysterious Professor Professorson, Troy and Abed let their massive pillow fort get out of hand. It shows that, even when the show isn’t diving deep into parodies or metafiction, the show is capable of grounded greatness. Maybe the earliest all-out parody in the show’s run, “Contemporary American Poultry” takes tropes from the best mob movies like The Godfather and Goodfellas and applies them to the school cafeteria’s chicken strip supply. It’s the perfect example of how good Harmon is at this kind of parody — especially considering it’s an idea that carries over to Rick and Morty, where most episodes are parodies of some big science fiction movie or television show. 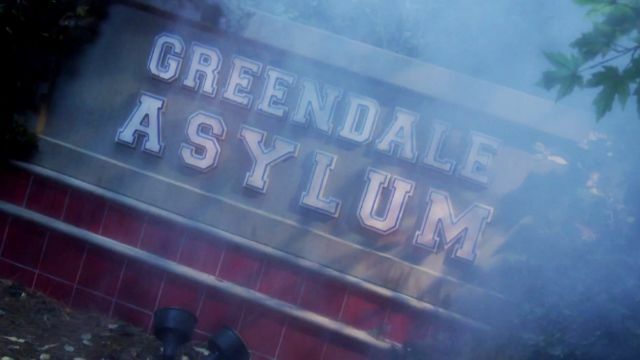 This early season two episode is very fun — when there’s a rabies outbreak at the school’s Halloween party, the gang must come together to find a cure to stop the outbreak. It’s (of course) a zombie movie parody episode, but this arrived at a time when The Walking Dead was just getting started and the genre didn’t feel as tired as it does now. A bottle episode, “Cooperative Calligraphy” traps the group in the study room as they grow more and more suspicious of each other while searching for Annie’s missing pen. Clearly, even the grounded episodes struggle to stay that grounded for very long — things quickly grow out of control, resulting in some of the best insults in the show’s run. This cast works so well with each other, and trapping them all in a room for twenty minutes straight is the best way to showcase this. The idea of a fake clip show has been done on television before — The Simpsons has done it, Harmon’s next show Rick and Morty did it, but Community might be the show to do it the best. In fact, they did it multiple times (season three’s is the next entry on the list). Still, season three’s is the funniest for its deep dive into Abed’s psyche. Like “Curriculum Unavailable,” “Paradigms of Human Memory” is a fake clip show — that is, the show flashes back to events that were never shown on an episode before. It’s a really great twist on something all long-running shows like The Office or Friends or Cheers or Seinfeld have done. It’s such a funny idea, and Harmon is so good at implementing it. Another relatively straightforward one, “Physical Education” is all about pool and doppelgängers. Jeff masters the game, while Abed battles his white counterpart. Given that the show was still in its early days at this point, it’s surprising just how wild this episode was able to be while still maintaining a steady audience. To help celebrate Abed’s birthday, the gang decides to throw him a Pulp Fiction-themed party. 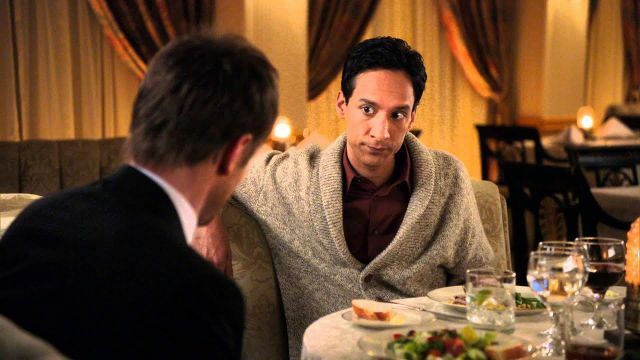 Once he arrives, Abed announces he’s actually through with pop culture obsession. The gang tries to figure out if he’s actually serious, resulting in an amusing and captivating spoof of a super-obscure film. This show might be tiresome for some, but its cult following absolutely eats this stuff up.